I am entirely out of my comfort zone. And I'll be real – my love for rocking a cute outfit and striking a good (and sometimes extra AF) pose for the 'Gram is far from unknown. And although I enjoy my fair share of flexin' like the next woman, my day-to-day professional life consists of amplifying other people's brands. And now, I've finally decided to take a leap of faith and amplify my own. I'm ready (and v excited) to share my love for fashion with y'all and hopefully along the way I can help you keep your wardrobe game strong. A little bit more about myself: My name is Lillian Paige Turner. I most often go by Paige, but I also answer to Lillian and love my first name as equally as my middle. I'm 25, I'm from and currently live in Austin, Texas, I'm a digital marketing manager and journalist, I'm the proud human to a Miniature Pinscher named Bubba and I'm a self-admitted Drake superfan. A little more about my style: My style ranges– but my fashion muses are Naomi Campbell, Rihanna, Aaliyah, Kylie Jenner and (Clueless-era only*) Stacey Dash. For me, my style is a reflection of my mood at that moment. In a way, my style is like my name, dual-sided and interchangeable. 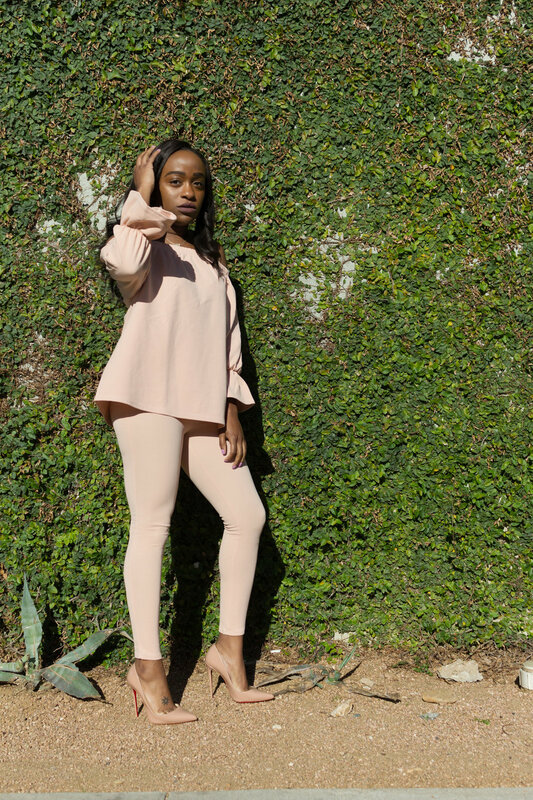 I bounce from classic feminine aesthetics to roomy athleisure and every look in between. I'm a fan of strappy sandals and a bomb co-ord set to match but I also appreciate Adidas leggings and slides. Neutrals, handbags and fitted silhouettes are a few of my favorite things. And being an advocate for self-love, I enjoy showing an occasional healthy dose of skin. I'm here to share my favorite labels with you, give you the scoop on where to find bomb pieces on a budget, make your online or IRL shopping easier and help you embrace your inner cool girl. So, to skip the long talk, welcome to my closet. I'm so glad you're here! Stay tuned, bb.